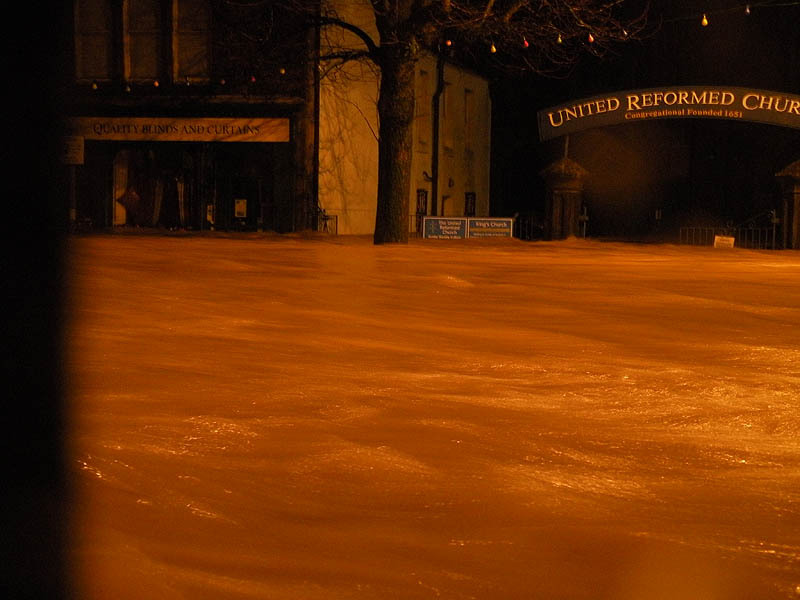 Cockermouth Flooding November 19 2009/then 2015! 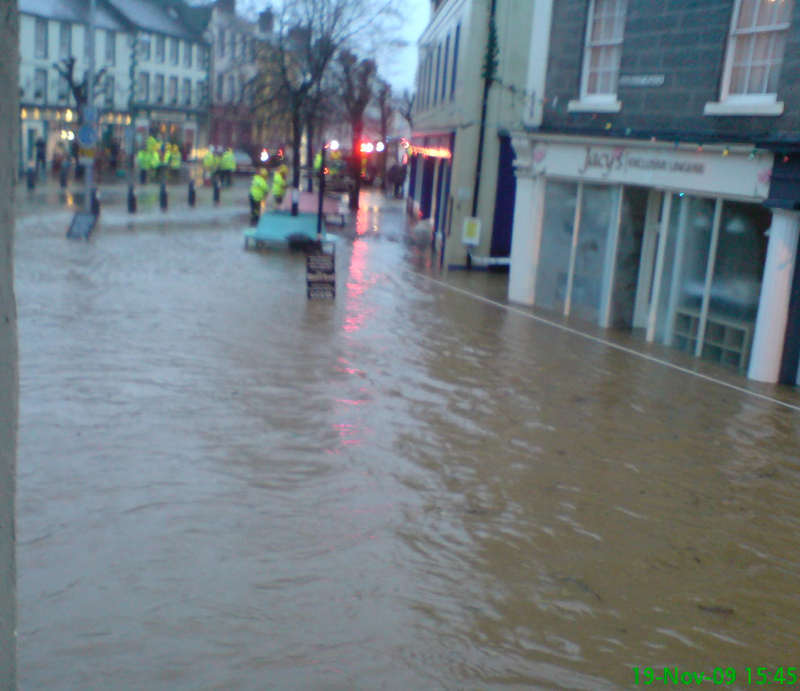 On the afternoon of November 19 2009 both the Rivers Derwent and Cocker swept through thousands of homes and businesses in the town centre of Cockermouth. Heavy rainfall was the main cause but rivers had been undredged for years and a relief archway at Gote Bridge (added after an earlier traumatic flood) was partially silted up when the floods struck. 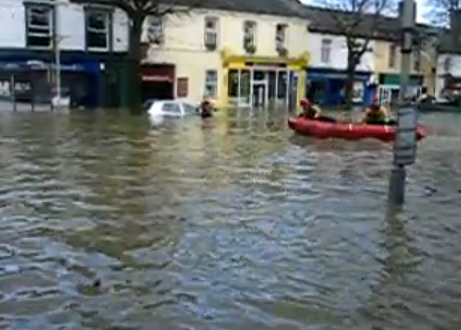 The emergency services assisted by RNLI, Cockermouth Mountain Rescue Rotary Clubs and other volunteers ensured nobody died in the town. Many shops and pubs now (2010) display marks showing the height of the waters reached. Despite costly subsequent flood defences (part paid by local residents) there was major flooding again in December 2015. Historic roundup of the many floods hitting town. After the event... the Environment Agency removed the gravel that had been allowed to build up before and during the floods. 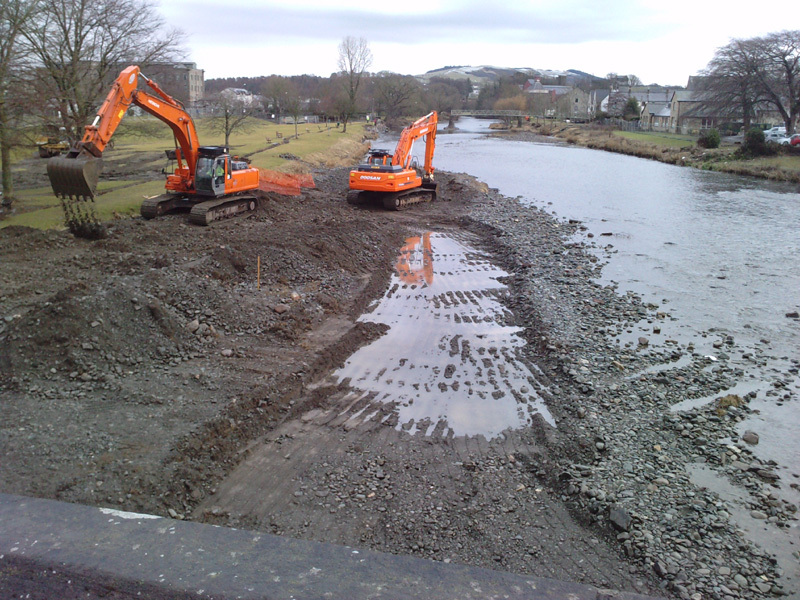 The town of Cockermouth now (2013) has a flood risk management scheme (completed June 2013) which has reduced the risk of flooding to many homes. The scheme features a 120-metre wide innovative self-closing flood barrier, which rises automatically when the river is in flood and retains views of the river throughout the rest of the year. This is the first time a barrier of this type has been used to protect a community in the UK and visitors from other parts of the UK at risk from flooding have been to see it, to evaluate its potential use for their communities. A commemorative plaque for the defences contains a poem crafted by nine-year-old Molly Palmer, a pupil at a local Primary School, who won an Environment Agency poetry competition around Cockermouths flooding experiences. After the storm had passed and water had gone, the sun came out and sadness floated away. Some technical advice and suggestions.